Pacific harbor seal, on sand at the edge of the sea. Vitulina Photo. A Pacific harbor seal hauls out on a rock. This group of harbor seals, which has formed a breeding colony at a small but popular beach near San Diego, is at the center of considerable controversy. While harbor seals are protected from harassment by the Marine Mammal Protection Act and other legislation, local interests would like to see the seals leave so that people can resume using the beach. Vitulina Picture. 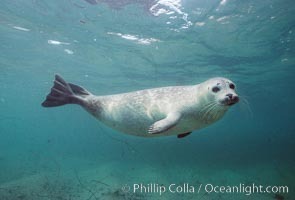 Pacific harbor seal swims in the protected waters of Childrens Pool in La Jolla, California. This group of harbor seals, which has formed a breeding colony at a small but popular beach near San Diego, is at the center of considerable controversy. While harbor seals are protected from harassment by the Marine Mammal Protection Act and other legislation, local interests would like to see the seals leave so that people can resume using the beach. Stock Photography of Vitulina. 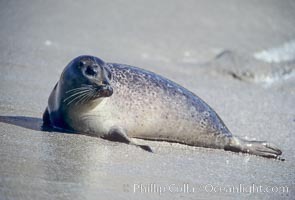 Pacific harbor seal on wet sandy beach. Photograph of Vitulina. Pacific harbor seal, an sand at the edge of the sea. Vitulina Photos. 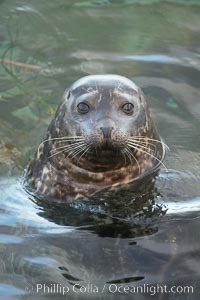 Pacific harbor seal, Childrens Pool. Vitulina Image. 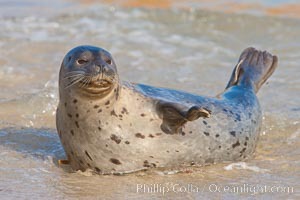 Pacific harbor seal swims in the protected waters of Childrens Pool in La Jolla, California. This group of harbor seals, which has formed a breeding colony at a small but popular beach near San Diego, is at the center of considerable controversy. 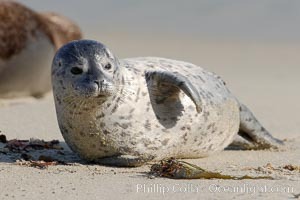 While harbor seals are protected from harassment by the Marine Mammal Protection Act and other legislation, local interests would like to see the seals leave so that people can resume using the beach. Professional stock photos of Vitulina. 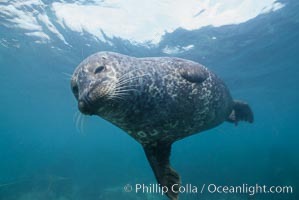 Pacific harbor seal swims in the protected waters of Childrens Pool in La Jolla, California. This group of harbor seals, which has formed a breeding colony at a small but popular beach near San Diego, is at the center of considerable controversy. 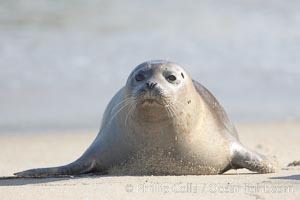 While harbor seals are protected from harassment by the Marine Mammal Protection Act and other legislation, local interests would like to see the seals leave so that people can resume using the beach. Pictures of Vitulina. 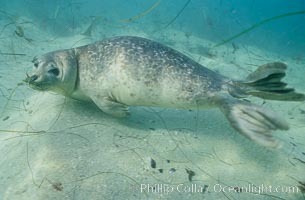 A Pacific harbor seal eyes the photographer while swimming in the shallows. This group of harbor seals, which has formed a breeding colony at a small but popular beach near San Diego, is at the center of considerable controversy. 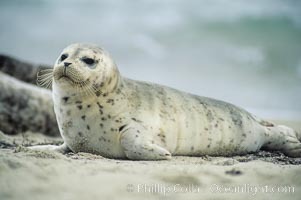 While harbor seals are protected from harassment by the Marine Mammal Protection Act and other legislation, local interests would like to see the seals leave so that people can resume using the beach. Vitulina Photo. 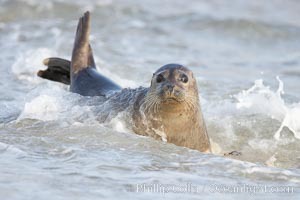 A Pacific harbor seal leaves the surf to haul out on a sandy beach. This group of harbor seals, which has formed a breeding colony at a small but popular beach near San Diego, is at the center of considerable controversy. While harbor seals are protected from harassment by the Marine Mammal Protection Act and other legislation, local interests would like to see the seals leave so that people can resume using the beach. Vitulina Picture. 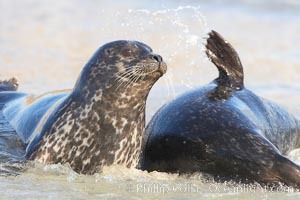 Pacific harbor seal, mother and pup. Stock Photography of Vitulina. Pacific harbor seal. Photograph of Vitulina. 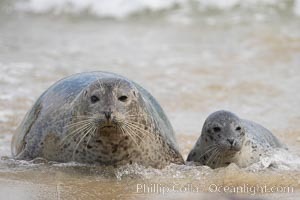 Pacific harbor seal, mother and pup. Vitulina Photos. Pacific harbor seal. Vitulina Image. Pacific harbor seal. Professional stock photos of Vitulina. 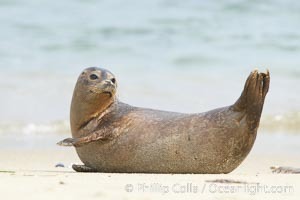 Pacific harbor seal stretches on a sandy beach. Pictures of Vitulina. 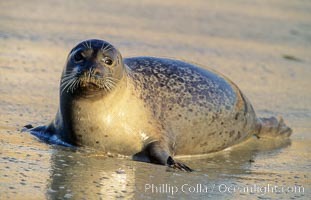 A Pacific harbor seal hauls out on a sandy beach. This group of harbor seals, which has formed a breeding colony at a small but popular beach near San Diego, is at the center of considerable controversy. 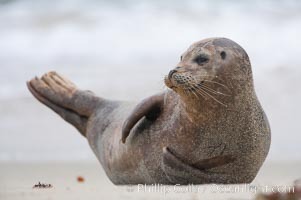 While harbor seals are protected from harassment by the Marine Mammal Protection Act and other legislation, local interests would like to see the seals leave so that people can resume using the beach. Vitulina Photo. 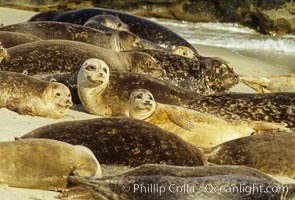 Pacific harbor seals rest while hauled out on a sandy beach. This group of harbor seals, which has formed a breeding colony at a small but popular beach near San Diego, is at the center of considerable controversy. 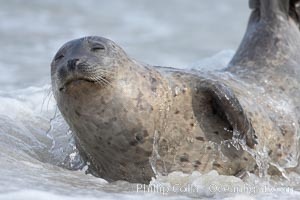 While harbor seals are protected from harassment by the Marine Mammal Protection Act and other legislation, local interests would like to see the seals leave so that people can resume using the beach. Vitulina Picture. 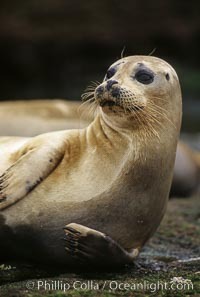 This Pacific harbor seal has an ear with no external ear flaps, marking it as a true seal and not a sea lion. La Jolla, California. This group of harbor seals, which has formed a breeding colony at a small but popular beach near San Diego, is at the center of considerable controversy. 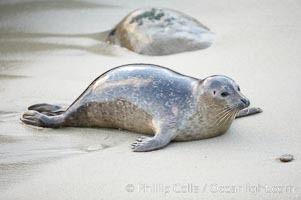 While harbor seals are protected from harassment by the Marine Mammal Protection Act and other legislation, local interests would like to see the seals leave so that people can resume using the beach. Stock Photography of Vitulina. 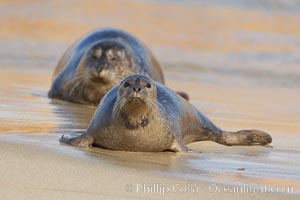 Pacific harbor seals rest while hauled out on a sandy beach. This group of harbor seals, which has formed a breeding colony at a small but popular beach near San Diego, is at the center of considerable controversy. 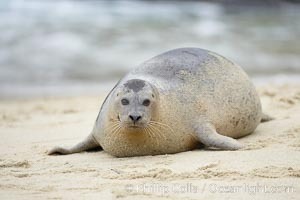 While harbor seals are protected from harassment by the Marine Mammal Protection Act and other legislation, local interests would like to see the seals leave so that people can resume using the beach. Photograph of Vitulina. 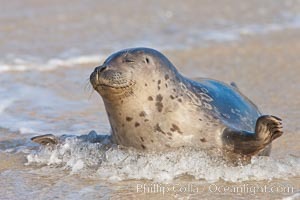 A Pacific harbor seal pup hauls out on a sandy beach. This group of harbor seals, which has formed a breeding colony at a small but popular beach near San Diego, is at the center of considerable controversy. While harbor seals are protected from harassment by the Marine Mammal Protection Act and other legislation, local interests would like to see the seals leave so that people can resume using the beach. Vitulina Photos. A Pacific harbor seal hauls out on a rock. This group of harbor seals, which has formed a breeding colony at a small but popular beach near San Diego, is at the center of considerable controversy. 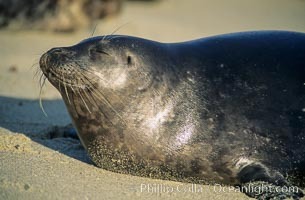 While harbor seals are protected from harassment by the Marine Mammal Protection Act and other legislation, local interests would like to see the seals leave so that people can resume using the beach. Vitulina Image. A Pacific harbor seal hauls out on a rock. This group of harbor seals, which has formed a breeding colony at a small but popular beach near San Diego, is at the center of considerable controversy. 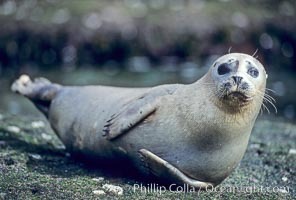 While harbor seals are protected from harassment by the Marine Mammal Protection Act and other legislation, local interests would like to see the seals leave so that people can resume using the beach. Professional stock photos of Vitulina. 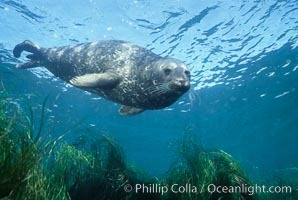 A Pacific harbor seal swims over surf grass in the protected waters of Childrens Pool in La Jolla, California. This group of harbor seals, which has formed a breeding colony at a small but popular beach near San Diego, is at the center of considerable controversy. While harbor seals are protected from harassment by the Marine Mammal Protection Act and other legislation, local interests would like to see the seals leave so that people can resume using the beach. Vitulina Photo. 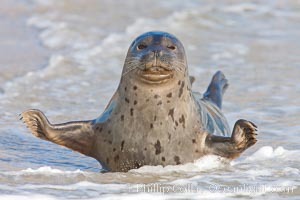 A Pacific harbor seal hauls out on a sandy beach. This group of harbor seals, which has formed a breeding colony at a small but popular beach near San Diego, is at the center of considerable controversy. 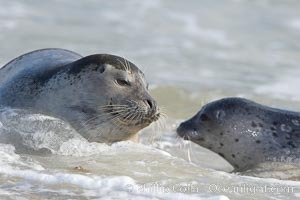 While harbor seals are protected from harassment by the Marine Mammal Protection Act and other legislation, local interests would like to see the seals leave so that people can resume using the beach. Vitulina Picture. Pacific harbor seal. Stock Photography of Vitulina. 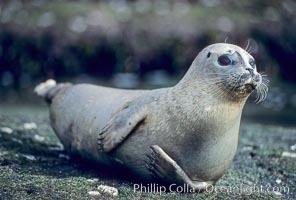 Pacific harbor seal pup. Photograph of Vitulina. 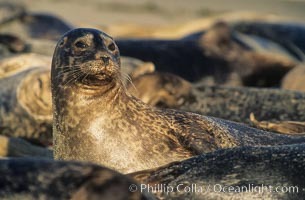 Pacific harbor seals on sandy beach at the edge of the ocean. Vitulina Photos. 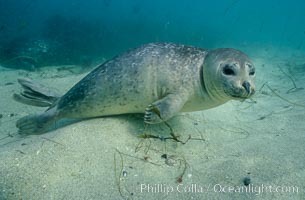 Pacific harbor seal, an sand at the edge of the sea. Vitulina Image.